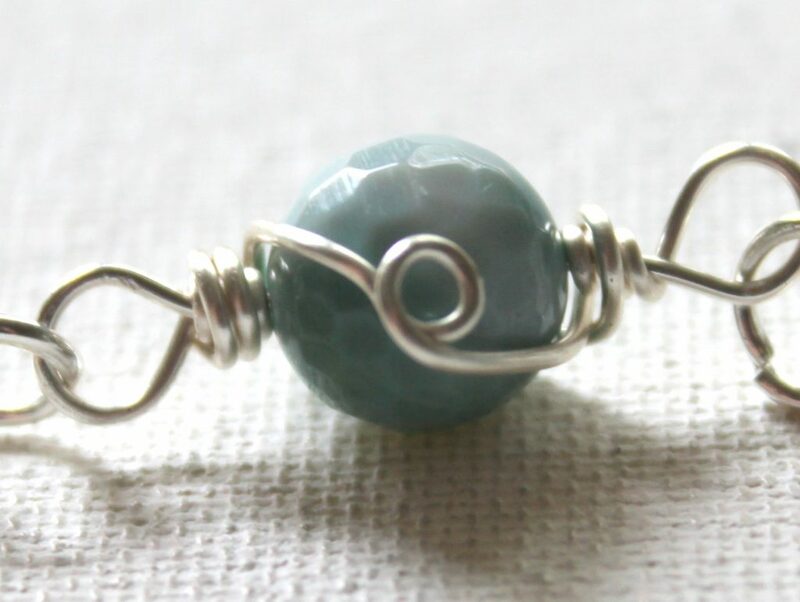 Develop and expand your wire wrapping skills with this fun eWorkshop! Learn 6 wire wrapping techniques to make this unique bracelet and use those new skills to make more beautiful jewelry designs! Learn 6 different wire wrapping techniques to use on beads. Then put them together to make a beautiful bracelet. I’ll show you how in this eWorkshop. It’s a workshop held completely online in a private, password protected page on my website. It’s like going to a jewelry making workshop in person, but better! 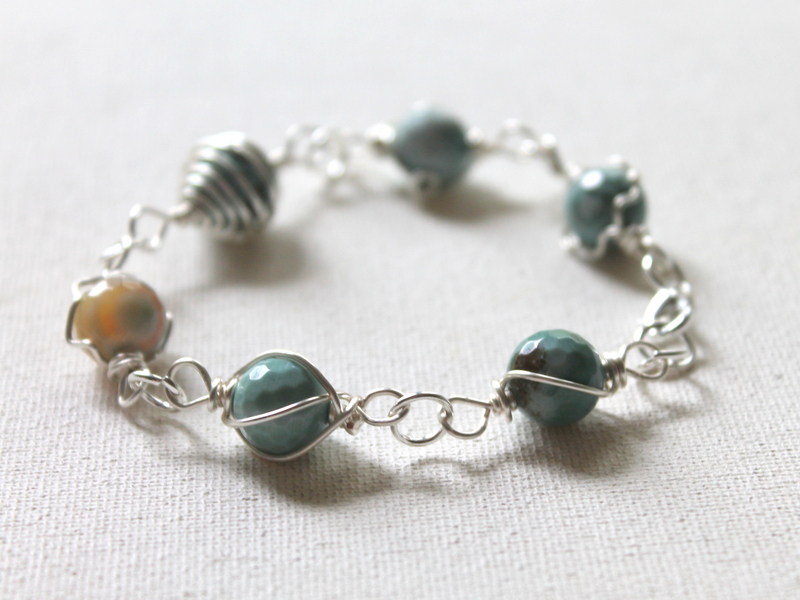 Think about the satisfaction you’ll get from taking some wire and beautiful beads and making them into a beautiful bracelet that you make yourself! This bracelet looks impressive, but it’s not so hard to make. My customers tell me all the time that I make things seem so simple with my step-by-step, real time instructions. It’s called an “eWorkshop” because it’s online, virtually. You get a total of 9 videos that show close up of my hands making the bracelet as well as my voice giving instructions and helpful hints along the way. The videos are broken up into an introduction, tools and materials, the 6 different techniques are each separate videos and a putting it all together video. That way if you wish to return to just one technique you don’t have to watch the entire video just to get to the part you waned to review. You get a PDF with step-by-step photo and written instructions. The PDF is 35 pages long, has around 100 photos and has all the instructions for the entire bracelet. You get email access to me for any questions you may have or if you need additional instruction on the bracelet. 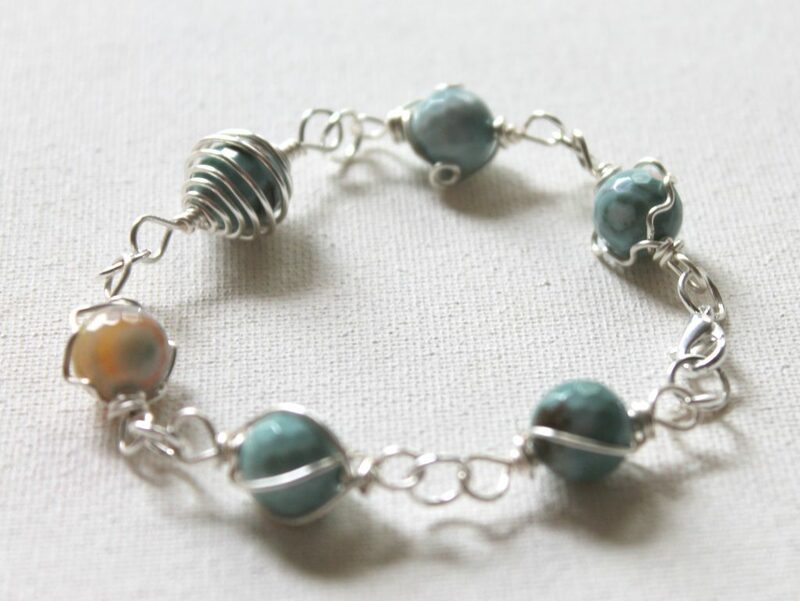 At the end of the eWorkshop you’ll have a completed bracelet with 6 different wire wrapped techniques that you created! In a couple hours you’ll have an awesome bracelet you made yourself and you can use the techniques you learned again and again in different ways for different pieces of jewelry. The first technique that 4 of the other techniques built off of I showed you in ECT TV Episode 61 (Wire Wrapped Rose Quartz Bracelet.) 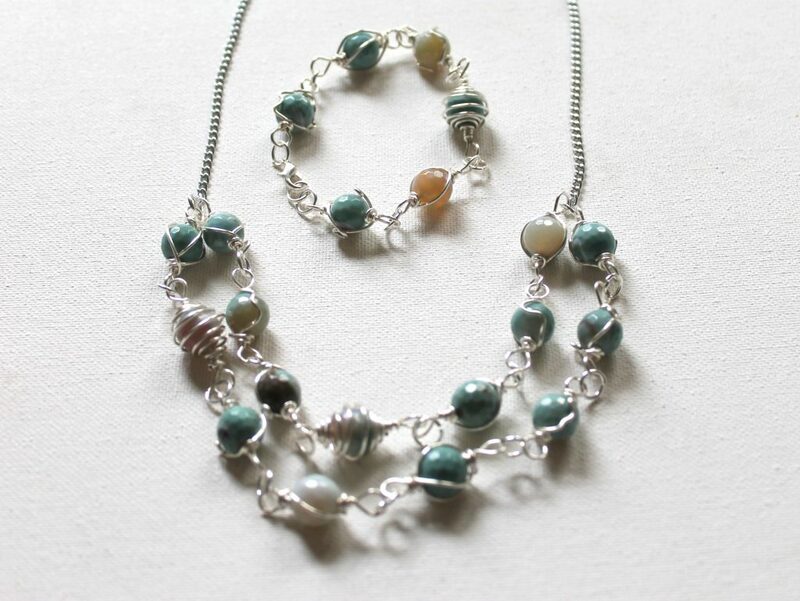 In this eWorkshop I’ll show you that technique on an 8mm round bead plus 4 additional decorative wire wrapped bead links plus the caged bead. 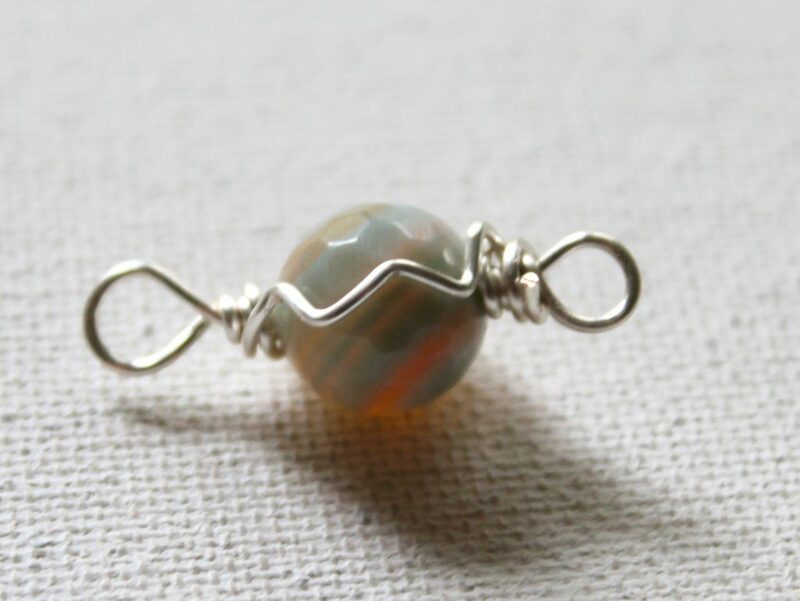 As you can see in the photo, you can use these techniques to make other pieces of jewelry, too. I don’t specifically show you how to make other jewelry, but you can easily come up with your own ideas! 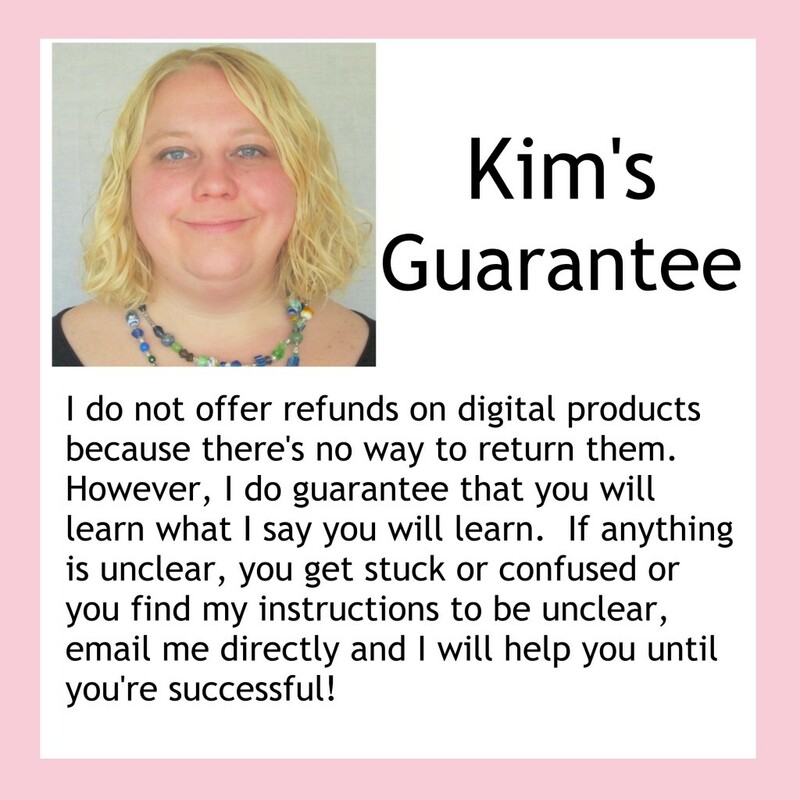 Plus you get my learning guarantee! I started making jewelry as a child and started officially selling jewelry in 2005. I have sold online, at craft shows and in a retail space. I have been teaching online since 2012 and in person before that. 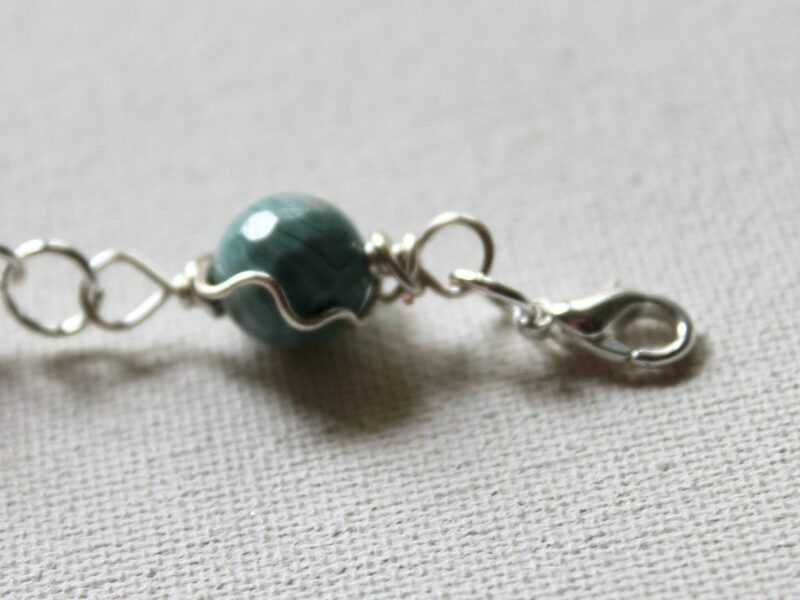 You may have seen my jewelry making tutorials on HappyMangoBeads.com, AllFreeJewelryMaking.com, Beading Gem and other blogs and websites. Wire wrapping is my passion and my specialty. Meaning that if you are new to jewelry making, you may find this tutorial challenging. However, if you have worked with wire you will be successful with this eWorkshop. Clasp (I use a lobster clasp in the eWorkshop, but you could substitute any clasp. *A note about wire: You may use any metal you prefer. You may want to start with a less expensive wire to start such as copper, brass or a silver plated wire and then move on to sterling once you feel more comfortable with the project. Ready to have fun and learn some new skills? 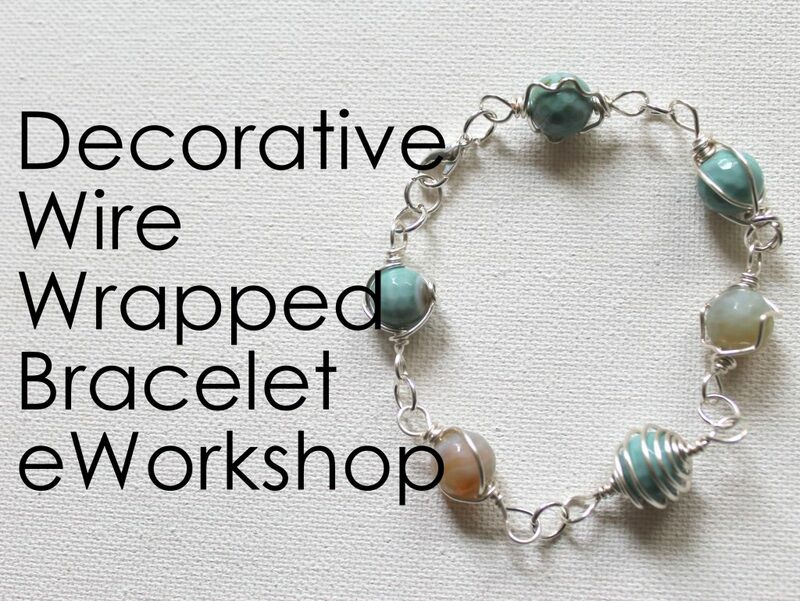 Purchase the Decorative Wire Wrapped Bracelet eWorkshop today! After you make your purchase, you’ll get an email with a link to download a PDF. That PDF is the eBook for this eWorkshop. 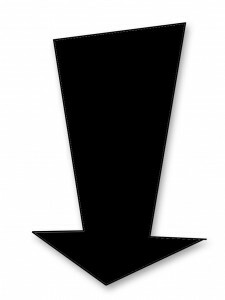 It contains the link to the private, password protected page and password for the eWorkshop. On that page you’ll find the video and step-by-step instructions for the project. The instructions for the project are also included in the PDF eBook you receive as well.